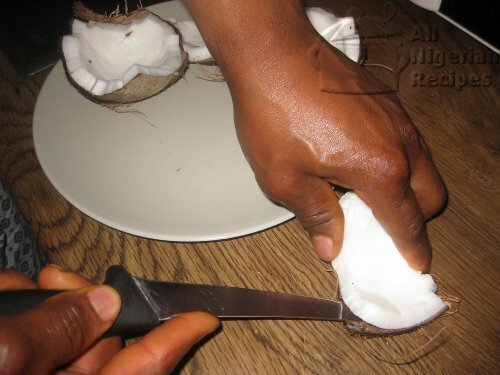 These steps will show you how to extract the rich coconut milk from the fruit. 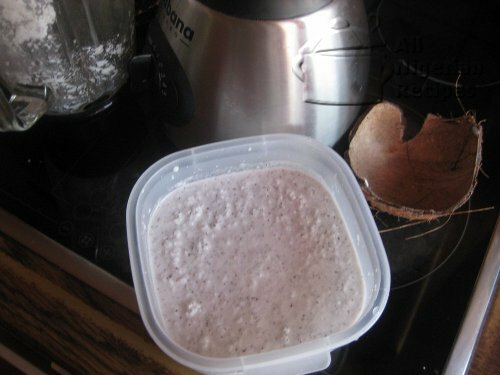 The coconut milk is the extract used in preparing the Nigerian Coconut Rice, add it to some Nigerian Drinks (Groundnut Milk and Tiger Nuts Milk) for delicious results. 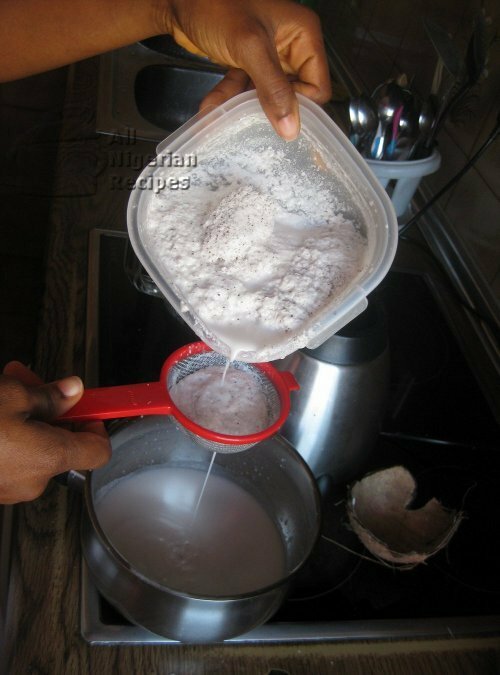 With the following steps, you can extract fresh coconut milk instead of buying the tinned, often tasteless ones from the shops. Break the coconut into pieces with a hammer and pry out the coconut meat from the shell. 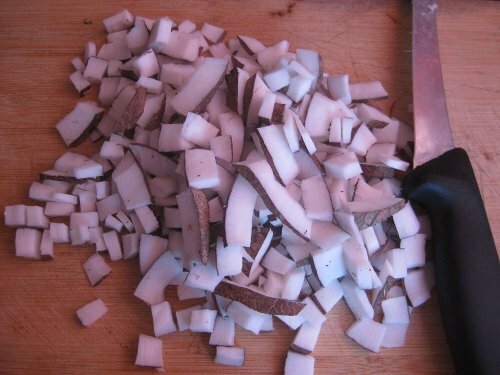 Wash the coconut meat and cut into tiny pieces. 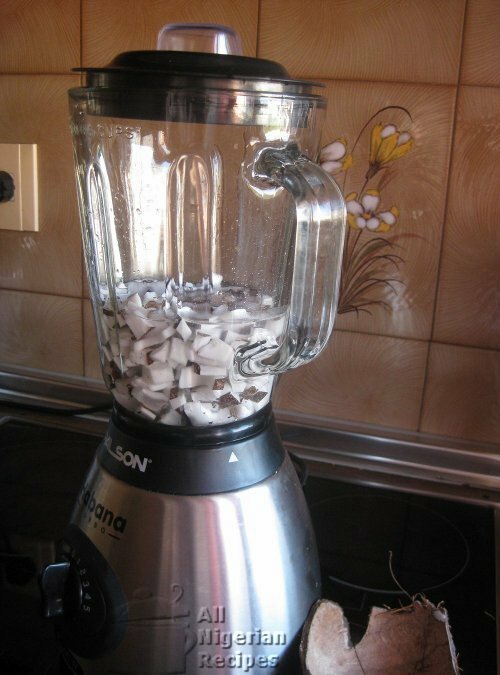 Place in a blender, add a small quantity of warm water (just enough to allow the blender blades to rotate freely) and grind into a smooth paste. You can also use a grater for this purpose. But a blender is more efficient. Pour the mixture of coconut milk and chaff into a sieve with tiny holes so that none of the chaff gets through. 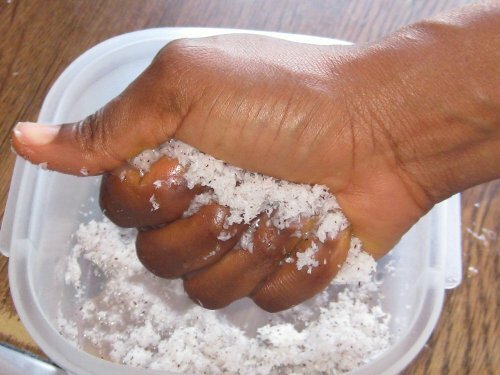 Use hands to squeeze out as much milk from the chaff as possible. If you feel that there is more milk in the chaff, place the chaff in a bowl and add more warm water. Repeat steps 4 and 5 till the milk that comes out becomes too pale. Remember that the coconut milk will later be used in cooking the rice so if the water becomes too much, the rice will be overcooked. This is not what we want so add water sparingly. Add to Coconut Rice when you add meat stock. 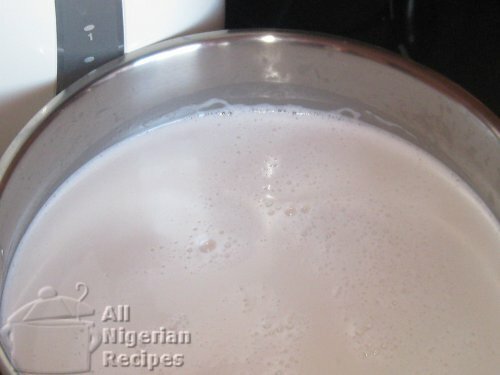 Add to Tiger Nuts Milk (Kunun Aya) and Groundnut Milk (Peanut Milk) for delicious results.